Here is a list of things that cheer me up when i’m down. No matter how upset i am, there is always something that makes me feel better and gets me back to my usual self. 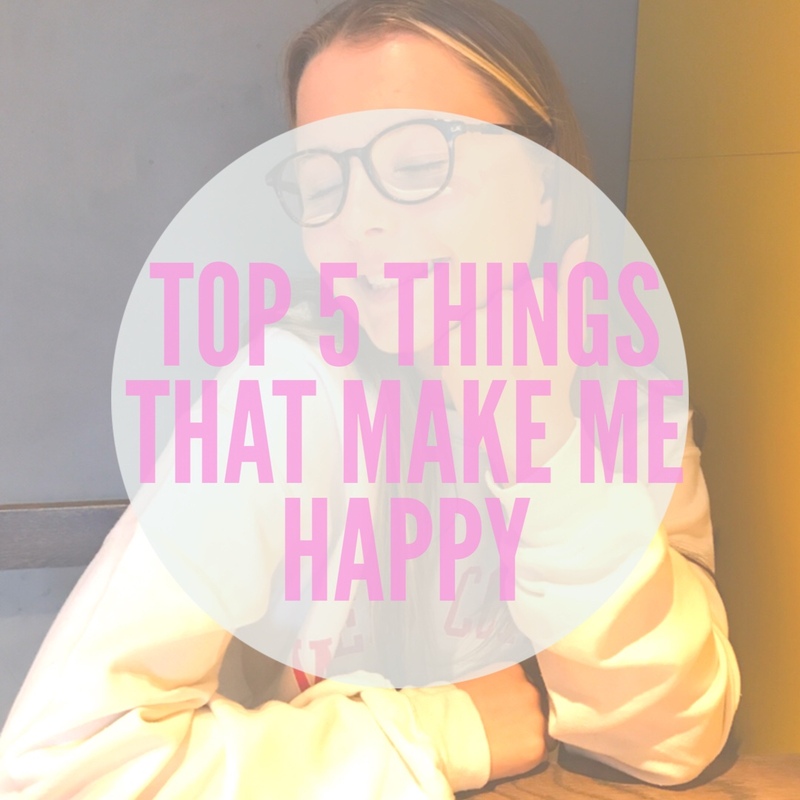 I hope you can take inspiration from my list and find the perfect mixture to make you happy too! Sam is always doing something that makes me smile. Whether its cracking jokes, giving me cuddles or even if its just him laughing. He has a contagious smile which makes it impossible not to start grinning from ear to ear. Boyfriends are great as they are always there as a shoulder to cry on no matter how big or small the problem may be. My dog Mollie always makes me happy. She snuggles up to me and gives me as many kisses as i need. Kisses from Mol include her licking my nose and she squeaks at me if i don’t give her any attention back. If I’m going through a hard time, knowing I’ve got a holiday coming up always keeps me going. It gives me something to look forward to and to keep my mind set of the future, rather than the trouble I’m going through at the time. I also love holidays because it gives me an excuse to go shopping and treat myself to getting my nails, eyelashes and waxing done. When its sunny, everyone feels better. Everyone seems to be jolly and always up for some fun in the sun. Its a great feeling knowing you can get everything done and not get freezing cold when doing it. Even nipping to the shops is so much better when its sunny as you could walk, if you live close enough, and say hi to some of your neighbours. That’s another thing that seems to occur more often in the sun, people always say hello and ask how your day is going. I know that there is a running joke that only northerners say hi when they pass each other in the street whereas southerners tend to just ignore passers by. Finally, late night drives are one of my favourite things to do. They always manage to chill me out and it is the perfect opportunity to get everything off my chest. The key is to go with the person you feel most comfortable with, this means you can tell them everything and unload all of your problems. Even late night drives on your own can be helpful and therapeutic. Whether you listen to your favourite songs to jam to as you drive or enjoy some crucial silence to give yourself time to think. In my opinion, late night drives are the answer to everything! My dog makes me happy also. I agree with the sun.